NFU president Minette Batters will put British food and farming at the top of the agenda at a MP reception at the House of Commons today. 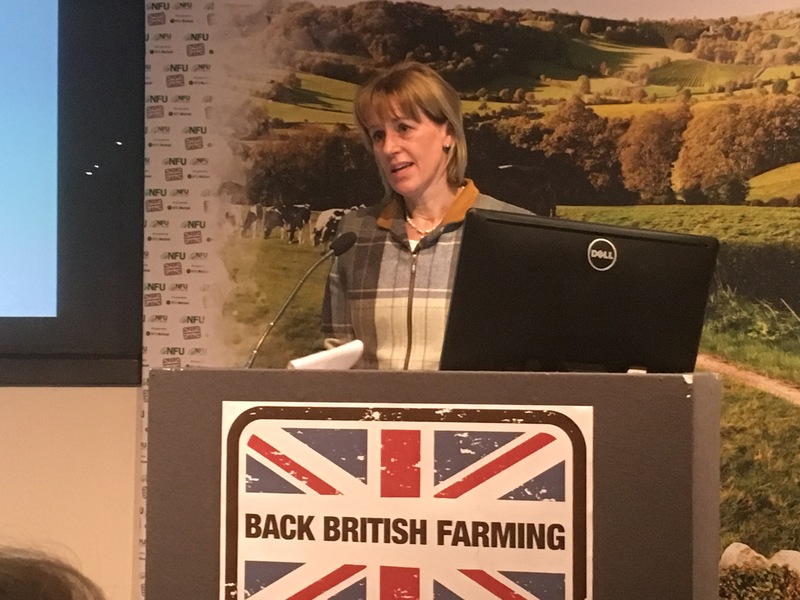 NFU president Minette Batters (pictured) said: “It is a pivotal time for British farmers; we’ve just submitted a response to the biggest consultation on the future of the farming sector in 40 years and we will soon see the Agriculture Bill. It has never been so important to underline the value of the British food and farming sector to Government. Ms Batters added: “The fruits, vegetables, meat, dairy and cereals farmers produce go into the UK’s biggest manufacturing sector – food and drink –which is contributing £112 billion to our economy and underpins nearly four million jobs. British farming’s vital role in this cannot be ignored. “British farming’s offer doesn’t stop there; it stretches across 70% of the nation’s iconic countryside, caring for the natural environment and providing habitats for wildlife. Farmers really are the original friends of the earth.